We are people passionate about innovative energy efficiency, providing a valuable, operationally-focused energy management solution to the market, and making a contribution to a healthier planet. We are driven to improve energy performance for our customers by monitoring and managing their energy spend through the automation of their daily building systems operational activities. We do this to save our customers money, reduce their carbon footprint and make the world a better place for future generations. Shift Energy's Energy Optimization System [EOS] automates the real time tuning of independent energy systems for large building complexes. The world's leading building managers are using Internet-based Big Data and low cost IoT sensors to drive down energy operational costs. Mariner xVu is the world leader in Software Defined Monitoring for managed and unmanaged IP video, streaming and broadband/Wi-Fi networks. Our software helps operators centrally manage the complexity required to deliver new video services with real-time visibility into subscriber experience - anywhere. East Valley , the start-up acceleration division of Mariner Partners, has made over 30 investments, with multiple exits, including Q1 Labs, Internet Security for Banking, sold to IBM; and Radian6, Marketing Cloud Analytics sold to SalesForce.com. The organization specializes in mentoring and providing support to entrepreneurs. Founded in 2003, Mariner Partner's head office is located in Saint John, New Brunswick. We believe in making a positive impact in the communities where we live and work - our team and our customers are located in major cities across Canada and in North and South America and Europe. The Customer Care Technical Analyst has prime accountability for the ongoing Support and Operations of Mariner products in both customer production environments as well as Mariner hosted platforms. Additionally, the Technical Analyst is responsible to ensure that the needs of the customer are identified and the necessary primes within Mariner properly engaged. Working with the Mariner team to exceeding the Service Level Agreements, the Technical Analyst's success is measured through high customer satisfaction. 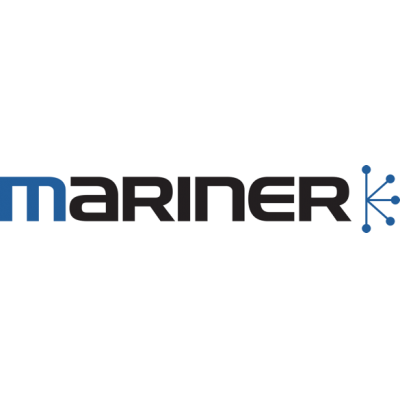 As the first point of contact for the customer, the Technical Analyst role is crucial to Mariner's reputation, technical leadership credibility and future business with our customers. Responsible to monitor and action system generated alerts and alarms. Responsible to represent the customer's concerns and needs to the Mariner internal team. Provides technical status and risk assessment information to the Team Lead and Customer Care Manager. Responsible to understand and represent the basic technical requirements associated with feature requests, product enhancement requests or custom development requests, and report progress to customer. Responsible for operations of the production environment applying upgrades, patches, etc. as required. Participate in an on-call rotation. Building/Industrial controls familiarity - HVAC, Chillers, Ice Plants, etc.